PG&E Corporation announced it intends to reorganize under Chapter 11 of the U.S. bankruptcy code as it faces billions of dollars in potential liability resulting from the 2017 and 2018 Northern California wildfires, according to a Jan. 14 press release. The move comes a day after Geisha Williams stepped down as CEO. The company said it provided a 15-day notice required under state law to file bankruptcy petitions on or about Jan. 29. PG&E expects the process to facilitate an expeditious resolution and assure access to the capital and resources required for ongoing operations. Democratic Governor Gavin Newsom said he has been monitoring the impact of the company’s liability, and committed to work with the legislature and stakeholders on a solution that ensures reliable service for consumers and fair treatment of fire victims. The company has been facing scrutiny from regulators and lawmakers following last November’s Camp Fire in Butte County, the deadliest in California’s history. PG&E said it is in discussions with lenders to secure about $5.5 billion in debtor-in-possession financing to help it operate as it seeks bankruptcy protection. Last week, the state public utilities commission launched a proceeding that will determine how the utility may charge customers to retrieve the cost of recent wildfires following legislation enacted last year, allowing utilities to pass some of their costs to ratepayers. Last month, the commission announced it is considering reforms ranging from splitting Pacific Gas and Electric into separate electric and gas companies to reconstituting into a public entity noting that the utility has had serious safety issues with its gas and electric operations for many years. 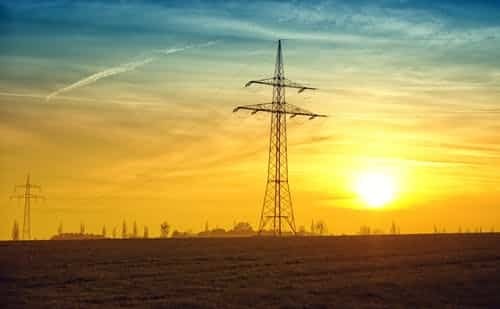 The catastrophic wildfires have also prompted the agency initiate a proceeding to examine rules for proactive de-energization of power lines during wildfire threats.